Just wait till you taste what this guy is cooking in Barbados! Meet Chef Henderson Butcher. Who doesn’t want a winner on their team? Divi Resorts does. 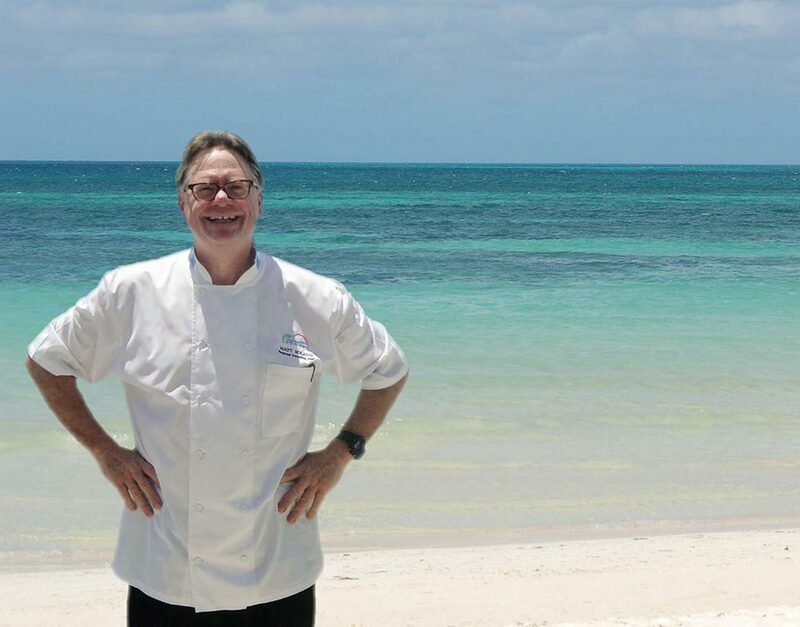 The company hired a big time winner when it made Henderson Butcher executive chef of the new pureocean restaurant at Divi Southwinds Beach Resort in Barbados. Butcher’s culinary star began ascending in 2007, and it hasn’t stopped rising since. He is famed not only throughout Barbados, but also all across the Caribbean. 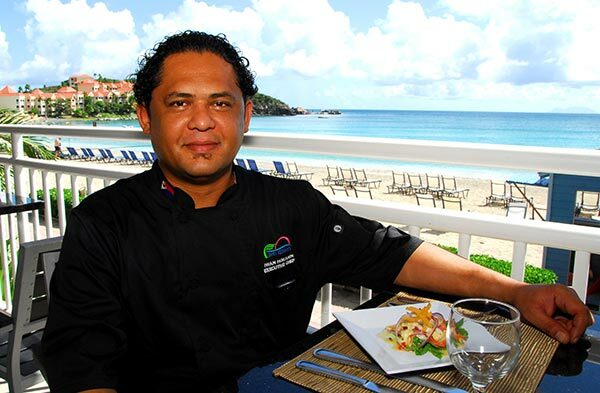 His winning way with pork earned him top chef honors in the Taste of the Caribbean competition, as well as the nickname “The Pork Boss.” He has likewise dazzled judges and foodies with his vegetarian dishes, beef entrees, seafood and chocolate concoctions. The arresting architecture of pureocean restaurant entices many beach strollers to amble in. But on some days, it’s the wafts of fragrant smoke emanating from “The Smoker” out back that extends the invitation. Chances are, it’s Butcher’s “first love” – pork – tempting you. When the smoker is fired up, guests know that the daily specials include smoked pork ribs, loin chops or various offerings of pulled pork. The menu also includes smoked chicken or shrimp. Lately, Butcher has been experimenting, as chefs are known to do, and we are highly anticipating his smoked brisket and jumbo beef ribs, coming soon. Local Barbados ingredients rev up Butcher’s recipes, including Mt. Gay Rum and organic vegetables and herbs grown in the resort’s own greenhouse. He is a big believer in dock-to-dish and farm-to-fork recipes, liking his ingredients to be as fresh as possible for his guests. Divi Resort-to-fork is pretty fresh, wouldn’t you have to say? Butcher also works with local farmers and fishermen to source the menu. Cocktails, too, feature native produce, like the Divi Cosmo Martini, which uses guavaberry juice; and the Old Passion, which mixes Mt. Gay Extra Old Rum with passionfruit and fresh ginger. 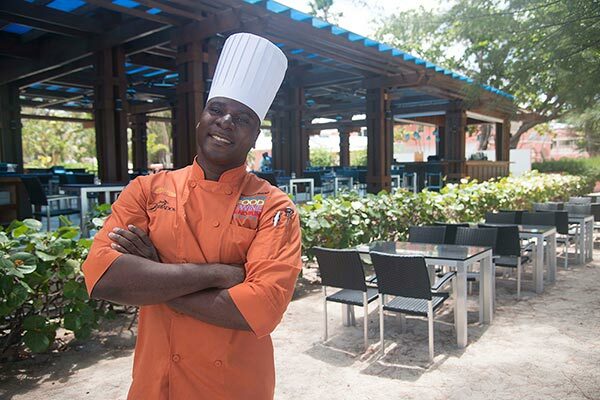 For several years, Butcher has been a key participant in the Barbados Food, Wine and Rum Festival, but his demanding chef duties at pureocean do not leave time for that anymore. Thus, you’ll be happy to know he’s all yours at pureocean while the festival is going on around the island, November 20-23. With the word out about the great food and ambiance at pureocean, it’s a good bet that many foodies will beat a path to Divi Southwinds Beach Resort during the festival.